The year was 2006 and I’d just read multiple books and articles about the detrimental effects sugar has on our body. I decided I was cutting it out of my diet, cold turkey. My biggest fear was the coffee. At that time I drank my coffee with copious amounts of CoffeeMate French Vanilla creamer (I was still another year away from really learning about nutrition, thus didn’t know how terrible that stuff is for me even beyond the sugar) and drinking coffee without it sounded awful. I was a determined gal, though, and once I decide I’m going to do something, I usually do it. So one day, I threw out the creamer and didn’t look back. Tim and I both switched to black coffee, cold turkey, and now I can’t even imagine drinking such a sweet drink first thing in the morning. Black coffee tastes delicious to me now. It’s one of my favorite flavors in the world. But. 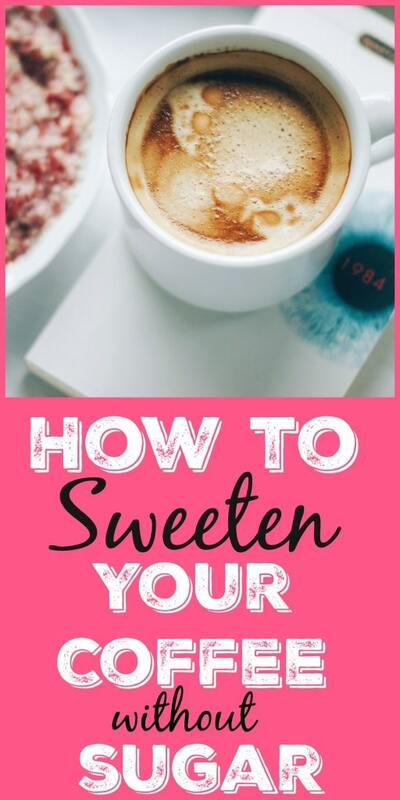 I know that many of you want and need ways to sweeten your coffee without sugar. I’ve talked to a few friends who are doing the Cut the Sugar Challenge for January and they say this is their biggest struggle. They want to enjoy their sweetened cup of coffee in the morning! So even though I personally prefer black coffee, I went to work experimenting with how to sweeten coffee without sugar. I’m going to be straight with you. None of these ideas will replicate your favorite cup of sweetened coffee. 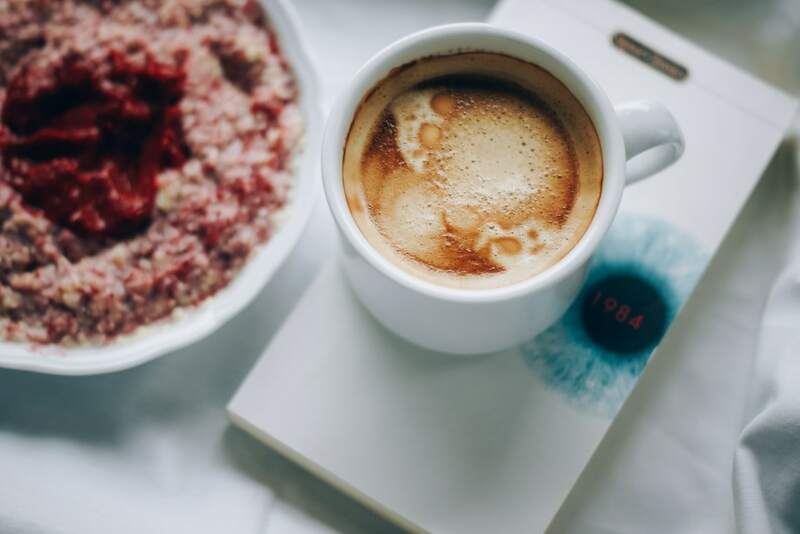 If you are committed to cutting sugar from your life, though, these are some great ways to sweeten your coffee without sugar. 1. Add cinnamon to your coffee grounds. Before you brew your coffee, add 1 teaspoon cinnamon for every 4 tablespoons of coffee grounds. This is essentially going to give you unsweetened flavored coffee, but it tastes incredible and may be just the touch you need to ditch the sugar. Stevia is a natural sweetener that comes from the stevia plant. It is 200-300 times sweeter than table sugar, so you only need a small amount to sweeten a cup of coffee. You just need to be careful what kind of stevia you are buying. Some stevia products are highly processed. Look for a kind that is made with 100% pure stevia extract and nothing else. I recommend this kind. The great thing about stevia is that it has 0 calories and a low glycemic index. A con is that it can have a bitter taste. I can handle it in small amounts, though, and sometimes use it to sweeten my green tea. I love Xylitol. It’s a natural sweetener that is derived from either birch trees or corn stalks, depending which brand you buy. It’s got 1/3 the calories of sugar and has a low glycemic index. You can use it 1-for-1 in substitution for regular sugar. This is the kind of Xylitol I use and it’s made from non-GMO corn stalks. The downside is that it’s more expensive than sugar and not as easy to find. This is why I don’t publish too many recipes with it. I used it recently to sweeten a cup of hot cocoa for Meghan and she loved it. If you are hooked on a very sweet cup of coffee, this might be your best bet. Please know that xylitol is toxic for dogs and use caution if you use this and have a furry friend at your house. When I was experimenting with ideas for this post, I added some coconut cream to my cinnamon spiked coffee and it was heavenly. No other sweetener was needed for my taste buds. The coconut cream (from a can of full-fat coconut milk) added a touch of sweetness, coupled with the cinnamon flavor made a fantastic drink. 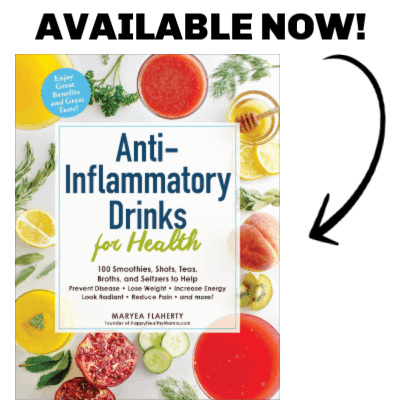 Add a touch of stevia or xylitol to this combination if you want more sweetness. Dates are one of my favorite natural sweeteners. I use them to make this Vegan Hot Fudge and it rivals any sugar-sweetened fudge sauce. You can use date paste to sweeten your coffee, too! To make a date paste, cover about 2 cups of pitted dates with water. Allow them to soak for an hour, then drain the dates and reserve the soaking liquid. Blend the dates and add in some soaking liquid, 1 tablespoon at a time, until you have a smooth paste. You can stir this into your coffee for a sweet cup that also has extra fiber, iron, magnesium, calcium, and vitamin B-6! I know that coffee can be a major roadblock for many people who would otherwise be able to go sugar-free. I hope if that’s you, these ideas will help you cut the sugar and still enjoy your morning cup of jo! How do you sweeten your coffee? If you have more ideas or something that’s worked great for you, please share them in the comments! I LOVE coffee. Black, no sugar! It’s indeed one of the best flavors in the world. I like sweetleaf sweet drops stevia sweetener, in vanilla or English toffee, so good and so many choices! I also love the coconut cream, so yummy! I don’t drink coffee but once in a while I’ll put a splash of unsweetened vanilla almond milk in my tea. It is perfectly sweet and delicious! It might work for coffee too. Ooh I bet just adding a splash of vanilla would be great also! I’ve tried that….in my opinion it didn’t help. Vanilla by itself isn’t really sweet. I’m trying to figure out how to add apple to my coffee. Next step will be natural apple juice…who knows? Ha! I gave up my daily coffee about 6 months ago. It was starting to really hurt my stomach. I used to drink my French press with just some milk but after my first Whole30 I went to black coffee daily and loved it. One thing I learned from Whole30 that stuck with me was them asking the question “Do you even like the taste of coffee or do you like the taste of sugar?” By adding in sugar and creamers, you’re masking the taste of the beans. It made me think “HMM…do I really like coffee? !” Luckily I still loved it without all the other additives. Definitely homemade almond milk or good coconut milks are great options. Sounds like your ideas are really good, too! I know sugar is bad for my health but I keep taking it, just because I can’t imagine how that cup of coffee would taste without it. I have tried it before without sugar and felt like I was drinking poison. Now you have given me some hope, it seems there is something else that I could add to my coffee. I am goign to start out with stevia and see how it goes, hope it becomes tasty, even if it not as sweet as sugar. Thanks a lot for the share Maryea, you are awesome. Drinking poison! 🙂 I hope you like the stevia. What about honey? Would that be a viable option? Honey is sugar, but it’s still a better option than white sugar for sweetening your coffee! I love coffee with my cream! Unfortunately, the ingredients in my flavored creamers were pure junk! Now I make my own healthy creamer, and it actually curbs my appetite and gives me energy! Put all ingredients along with a cup of freshly brewed coffee in a magic bullet, and blend. Even though I don’t even drink cream in my coffee, that sounds delicious! Can I use regular honey? And what exactly is raw honey? Yes, you can use any honey. Raw honey is just honey that hasn’t been heated at all. Raw honey has all of the vitamins, minerals, and enzymes in tact and also has anti-fungal and anti-viral properties. When it’s heated it changes and doesn’t have the same properties, but the flavor doesn’t change. I like your tip to add cinnamon to the coffee grounds. Like you said, it’s not going to make the coffee sweeter, but it will make it taste better. For those who want to avoid alternate sweeteners but still want a nice flavor in their morning coffee, I think cinnamon is a great idea. Thanks! It’s good there are so many healthy ways to sweeten coffee. I am a big fan of coffee, but need to sweeten it for my tastes. Adding cinnamon to the grounds is an interesting idea though, I hadn’t heard of adding anything to the grounds themselves before. It’s a great way to make your own flavored coffee. I have been adding pure vanilla extract, pumpkin spice, or cinnamon to my freshly ground coffee just before brewing for a few years. I love the idea of using dates to sweeten my coffee. I have been using raw sugar, so now I’m going to try dates! Could you recommend brand of coconut cream? Where would this be located in a grocery store? Near the cocnut milk? Organic section? Many thanks! I did it, Maryea. As a big fan of coffee, this helps me to obey my doctor’s advice about sugar. I hope you’ll understand. Thanks for sharing such kind of useful post with us. Ive used a splash of vanilla… The real stuff. Going to try cinnamon. Sounds good. My father is a diabetic patient but he was addicted to coffee with sugar. I was looking for an idea on the internet and stumbled across your website. Thanks Maryea for sharing this great idea. Definitely, will pass your tips to my father and will ask him to try. I hope he enjoys one of these tips! I make cashew coconut cream from raw organic coconuts, add a splash of vanilla and a touch of honey. After soaking a cup of cashews in water for a few hours or overnight in the fridge, I empty the water, put the softened nuts in my vitamix, add the vanilla and honey along with adequate water to cover the nuts – I’m looking for a very thick cream, not milk. This makes my coffee luxurious. Love the date paste idea! Question – can this be kept at room temp, or should it be stored in the fridge? You should keep date paste in the fridge. How long will it keep in the fridge? Could you freeze small portions do you think? I know this article is all about how to sweeten coffee, Some folks don’t like coffee, because some times it’s bitter. Well i personally love black coffee, but i had to pass this on. An old timer, before i was an old timer,always added a pinch of salt to coffee to cut the bitter taste some times… Thanks. Wow, I had no idea that there were so many different ways that you could sweeten your coffee without actually using any sugar. I’ll definitely have to try your stevia suggestion or at least some kind of syrup that is made using it. Considering that I’ve been trying to cut the sugar out of my coffee for a while now I’m pretty much willing to try anything. Can I add cocoa to my coffee? Sure can! It’ll be pretty bitter if it’s just cocoa powder you’re adding, though. Can I just put raw dates in my coffee? Yes, if you blend them and make them into a paste you could stir them in. I tried to use xylitol in my coffee (I don’t mind chewing xylitol gum, so I bought crystallised xylitol from the health food store) and it literally made me want to throw up. I’m jealous that you can use it without getting nauseous because it does have a nice flavour. I might try your suggestion to use coconut cream. Oh no! 🙁 I’m sorry you had that reaction. What much coconut cream do you recommend per cup? Not all at once and no like the cinnamon they won’t sweeten it per se but they are lovely options for variations on flavorings even if you still want the sweet I’d suggest trying these first you may find with this as well you can reduce the amount of sweetener added to your coffee. Love this post! Thank you for the awesome tips! I like 1 tsp coconut oil, 1 TB butter, and 1 tsp agave syrup. blend together.